Check out the unveiling of the new building for Business at Bama — Hewson Hall. The University of Alabama: Hewson Hall Announcement (2018) from The University of Alabama on Vimeo. Check out the UA News story – BUILDING BAMA on some of the recently completed projects on campus, including New Freshman Residence Hall, Lakeside Dining Hall, and H. M. Comer Hall Renovation. See the new video wall in action here! 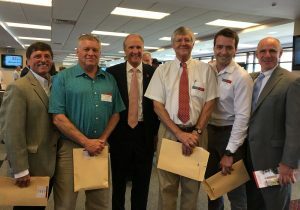 Several Construction Administration staff members were honored for their service at today’s UA Service Recognition Ceremony. Al Willingham, our Senior Surveyor, was celebrated for putting in 30 years — quite an achievement! Thomas A. 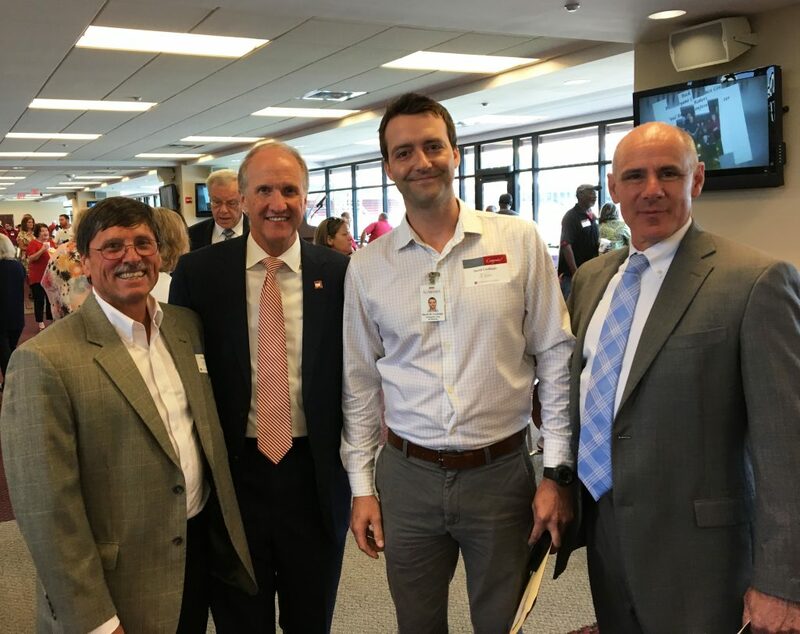 Love (Assistant Vice President), David Cordingly (Architectural Design Coordinator), and Allyson McDaniel (Administrative Secretary) were all honored for 5 years of service. We appreciate everything that Al, Tom, David, and Allyson have done in service to the University!